This richly illustrated book includes more than eighty full-color reproductions of Qadri's canvas and paper works dating from the sixties to 2011. Essays by leading scholars Partha Mitter, Donald Kuspit, and Tushara Bindu Gude chronicle the evolution of Qadri's artistic development and the complex philosophy underpinning his powerful vision. With a foreword by museum curator Deepali Dewan and a detailed biography focusing on his early years by his gallerist Sundaram Tagore, Sohan Qadri, The Seer is the most authoritative record available of the artist's life and work. 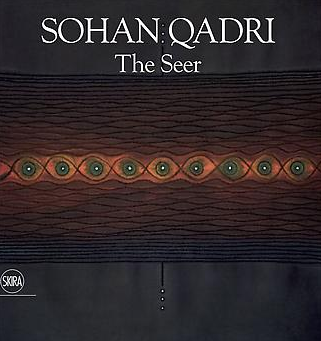 A poet, philosopher, and painter, Sohan Qadri occupied a unique position in the history of late twentieth-century art. He was a modernist who developed an uncompromising non-objective visual language, while drawing inspiration from is age-old Indian roots as an initiated Tantric. A master of minimalism, he created luminous, vibrantly colored paintings that combine formal brilliance with spiritual content intended to awaken in the viewer something beyond the aesthetic--beyond even the senses. Born and educated in India and having spent his working life in Europe and North America, Sohan Qadri is part of the contemporary global diaspora whose work addresses the contradictions of modernity. More important, originating in another tradition, Qadri's forms bring an unexpected new dimension to the discourse on Western minimalism.